God has promised to give his Holy Spirit to his people, but there is a lot of confusion about the work of the Holy Spirit. When I was a teenager the evidence of possessing the Holy Spirit was falling on the floor and speaking in tongues, the so-called heavenly language. Then came the Toronto blessing, where you laughed uncontrollably as evidence of possessing the Holy Spirit. I was at a meeting recently where we were encouraged to release the Spirit in our “worship” time, and that meant stage-diving. The Holy Spirit seems to love getting people to do weird and unusual things – so it seems. Is your church a Holy Spirit church? What is the mark of a Spirit-filled church? What does it mean to be baptized in the Spirit? How ought we to think about the Holy Spirit – third Person of the Trinity? Many churches claim to be “Spirit-led” or “Spirit-filled” churches because they have apparent manifestations of the Spirit in their services. What is the role of the Spirit? Recently I attended a post-graduate course at George Whitefield College with Peter Jensen and David Höhne, entitled, “The Lord who is the Spirit: speaking of the Spirit in the Reformed tradition”. Continue reading Is your church a Holy Spirit church? Posted on Feb 24, 2017 Feb 28, 2017 Categories Holy SpiritLeave a comment on Is your church a Holy Spirit church? There seems to be a renewed interest in the more “supernatural” spiritual gifts among evangelicals. Mark Driscoll, who calls himself a “charismatic with a seat-belt”, is no doubt a contributing factor. I have recently posted about healing, miraculous gifts and speaking in tongues. What remains is prophecy1. This gives us a clear definition of prophetic ministry. God put His own words in the prophet’s mouth. The prophet was moved by God and spoke the very words of God to the people of God. From Moses to Malachi, God spoke to his people through the prophets by their spoken and written word, publicly and privately. Continue reading What is the gift of prophecy? Posted on May 21, 2013 Feb 22, 2017 Categories Holy SpiritTags Bible, Doctrine, Gift of prophecy, Prophecy, Prophet, Spiritual gifts, Testing the SpiritsLeave a comment on What is the gift of prophecy? I argued in my previous post that the speaking tongues in Acts was not the norm for all Christians, but the very specific and unique plan of God to demonstrate that there was to be only one church. Not a separate Gentile Church. Not a separate Samaritan church. One church made up of converted Jews, Samaritans and Gentiles. The pouring out of the Holy Spirit on all these groups demonstrated by the speaking of foreign languages (like at Pentecost, Acts 2) was evidence of this. 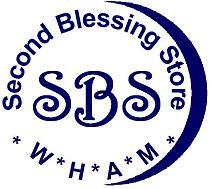 Have you experienced the second blessing? Pentecostals often refer to and preach from Acts 19:1-6 to promote second blessing theology (SBT). SBT teaches that the normative Christian practice is first to accept Jesus as Lord and then, secondly, to have another separate, distinct experience of the baptism of the Spirit. During this second experience the Christian is said to be filled with the Spirit, normally this “blessing” is accompanied with speaking in “tongues”. In Ephesus Paul found twelve “disciples” (v1). Normally in Acts “disciples” refers to Christians, but it turns out from Paul’s questioning that these people are not Christians, but repentant Jews. Paul probably thought they were Christians at first. To gauge their spiritual state, Pauls asks (v2), “Did you receive the Holy Spirit when you believed?” Paul did not ask did you receive the Spirit when you attended the course or when you prayed a special prayer or when you truly entered a new level of obedience in your Christian life! Paul associates receiving the Holy Spirit with believing (i.e. believing in Jesus). Continue reading Have you experienced the second blessing? Posted on Jun 3, 2010 Feb 18, 2013 Categories Holy SpiritTags Acts 19:1-6, Second blessing theologyLeave a comment on Have you experienced the second blessing?